"A quest for gold, guys, and glory"
Crooked Swords by Rob Hutton is a fantasy novel updated every few days. 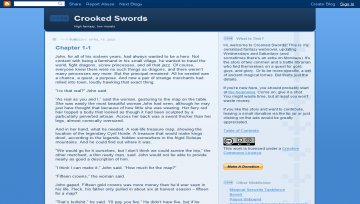 Crooked Swords has not been reviewed yet. Crooked Swords has not been recommended yet.